People working on a project track their time against services you defined in a budget. Tracking time you spend on a project enables you to have an insight in your project's profitability. 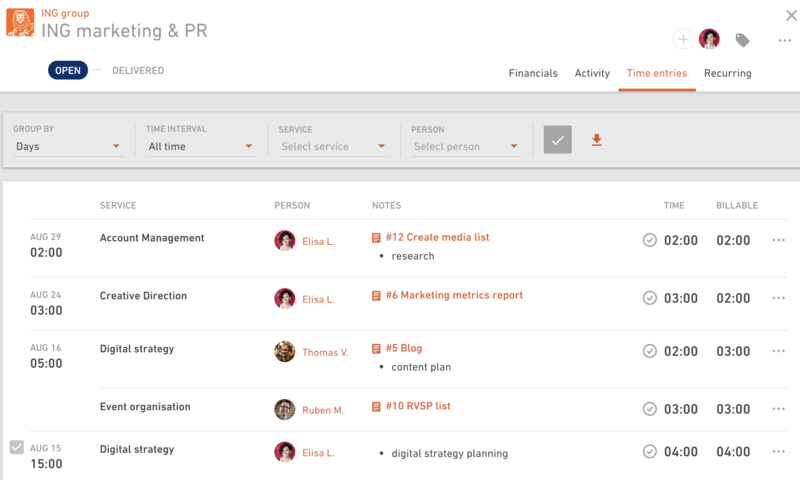 To see how much time is spent on what by who, open a budget and select Time entries tab. You can view time entries by days, people and services. Specify a time interval if you want to see time entries just for the last week or month. 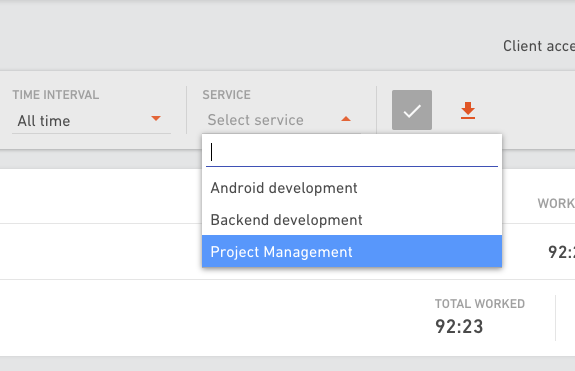 If you want to see how many hours were spent on a specific service, select one from the dropdown menu. When you're done defining all the criteria you're interested in, click on the green checkmark to run a report. 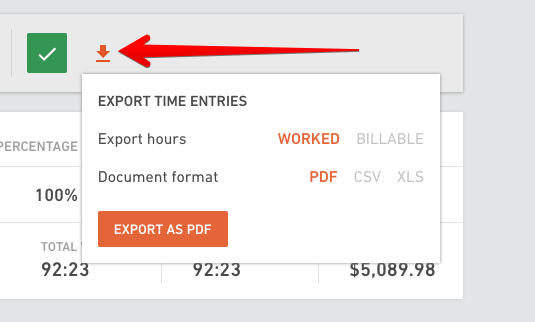 If you want to export time entries, click on the arrow and select PDF, XLS or CSV format. You can edit or delete time entries. 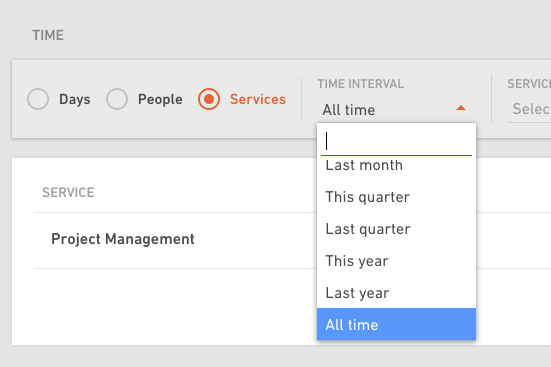 Sort time entries by days and select an option you need from a menu. Read here more about giving your clients access to budgets.